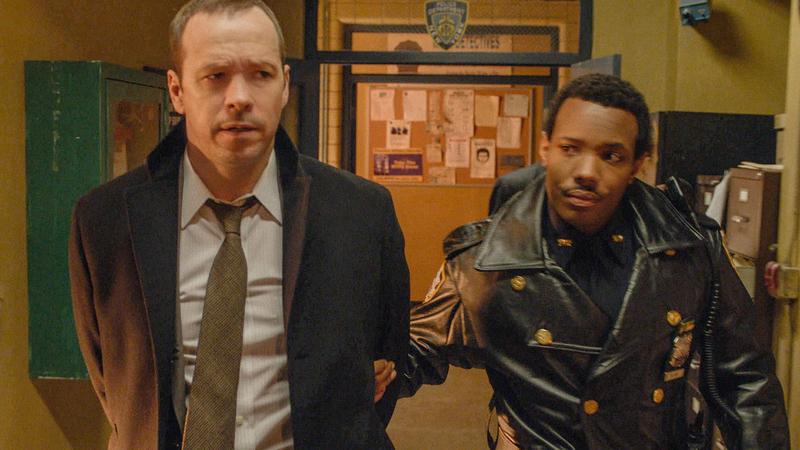 Danny (Donnie Wahlberg) is arrested by Officer Ritter (Wallace Smith). Photo Credit: Best Possible Screen Grab/CBS © 2012 CBS. All Rights Reserved.